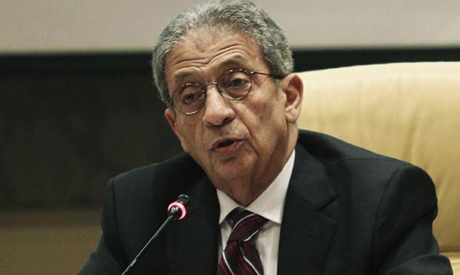 Amr Moussa, head of Egypt's constitution committee, said that the 50-member body will begin voting on largely "agreed upon" articles on Sunday. Moussa said in a statement published on his official Facebook page on Friday night that members will cast their votes on uncontroversial constitutional draft articles already prepared by the subcommittees. He added that constitutional articles circulating in online media and described as "final formulations" produced by the committee are "inaccurate... and do not represent the truth." In a press conference on Tuesday, committee spokesman Mohamed Selmawi said that the committee has finished drafting 189 articles of the new amended constitution, which will include over 200 articles in its final form. Committee members are currently engaged in discussions to settle differences over unresolved issues, attempting to reach a consensus on more controversial articles. Articles sparking the fiercest debates within the committee include those on military trials for civilians and Egypt's cultural identity. The final draft of the amended constitution should be ready by 3 December. It will then be referred to Interim President Adly Mansour and put to a national referendum. Egypt's 2012 constitution was suspended pending amendment as part of a roadmap for Egypt’s future following the army ouster of former president Mohamed Morsi on 3 July amid mass protests across the country against him.